Camping outdoors is a fun recreational activity that you and your child can both enjoy. With the proper gear at your side, your outdoor adventures can forge a lifetime of happy memories and a tight family bond. Keep in mind though – the wrong gear can kill your child’s outdoor buzz for good, and this is especially true when it comes to sleeping bags. 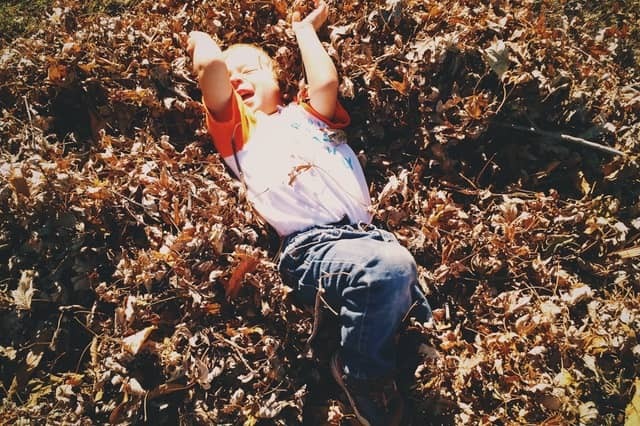 While adults may like to rough it in the great outdoors, children appreciate camping for its novelty, and not the challenge. 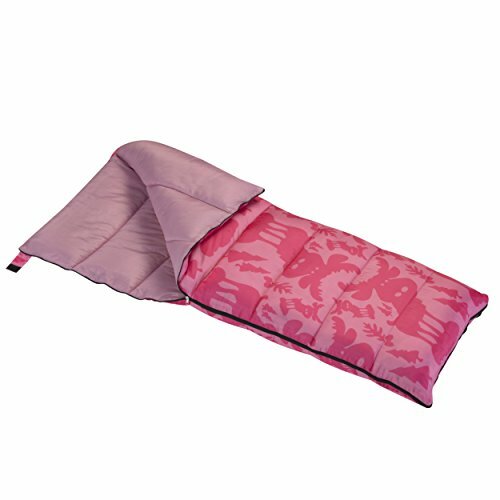 The top sleeping bags for children must place comfort at the top, followed closely by ease of use. For parents, the most important thing is that their child enjoy the bag. Factors such as durability, safety, utility, cost, and come into play. With all these factors in mind, the following list captures the top seven sleeping bags for children available on the market. Wenzel’s commitment to providing high-quality outdoor equipment is remarkable. The company has been making products to enhance the outdoor experience since 1887. Even though the company has been around for over a century, it still retains its youthful spirit of innovation. The Wenzel Moose Sleeping Bag is a testament to this spirit. Key Benefit: Priced at around $20, this is the most budget-friendly sleeping bag in the list. Quilt Through Construction: In this method of construction, the maker sews an insulating sheet with the shell and lining to create the sleeping bag. The simple method of construction makes the sleeping bag durable. However, this technique causes cold spots in the sleeping bag, making this an ideal warm-weather bag. Insul-Therm Fill: The Insul-Therm fill, a Wenzel trademark, amplifies the benefits of quilt through construction. The sleeping bag surrounds your child with warmth and comfort, and guarantees a good night’s sleep. Doubles as a Blanket: If the weather is too warm to use a sleeping bag, children can completely unzip the sleeping bag, transforming it into a blanket. Founded just 10 years ago, Lucky Bums is a relative newcomer to the market, but the company stands for aspirations that are timeless. Every parent wishes to spend more time with their children. Lucky Bums recognizes this, and offers products that support families spending time together in the beauty and serenity of nature. Ideal for Cold Conditions: Designed and constructed to adult standards, this kid’s bag uses materials and technology to ensure your child remains warm on cold nights. Reduced Width: To minimize the number of cold spots in the sleeping bag, designers decreased the width of the sleeping bag. The reduced width also grants your kids a proper fit. Excellent Build: The polyester outer shell of the sleeping bag encases a double hollow fiber filling lined with 100% cotton fabric. The full-length zipper allows easy access, and the draw-string hood protects the ears and head warm during cold nights. Lifetime Warranty: The company stands for high-quality. To cement the commitment, it offers you a lifetime warranty against workmanship and material defects. 10,000 nights of research and development kick-started Ledge Sport’s lineup of outdoor products. The Ledge Sports Youth River Jr 0° is a light and durable sleeping bag specially crafted for brutally cold weathers. 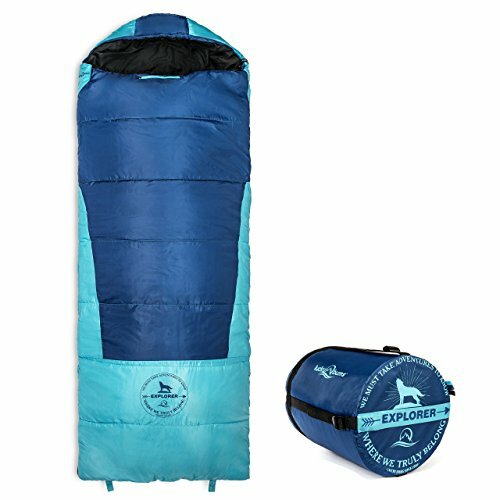 Unlike previous entries in the list, this sleeping bag is not rectangular shaped. Instead, the sleeping bag tapers towards the legs, giving it a mummy-like appearance. 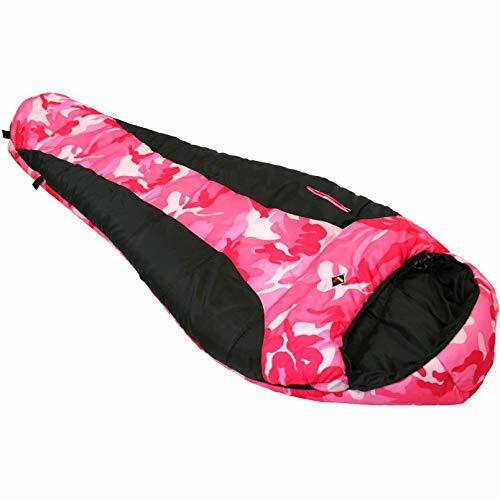 Packs Plenty of Fill: Designed for extremely cold temperatures, this sleeping bag packs plenty of fill to ensure your child gets a comfortable night’s sleep. At the same time, the sleeping bag isn’t bulky or heavy. It is lightweight and compact. Utilitarian and Attractive Construction: The sleeping bag has a half-length zipper that does not snag or crawl. The bag is water-resistant and machine washable, making it easy to maintain. The drawstring closure and the adjustable hood ensures a warm and cozy fit. External pockets allows your child to keep essential items close and easily accessible. Easy to Use: Kids will have no trouble unpacking, using, and packing the bag. Unlike other sleeping bags that are designed to roll, this bag is designed to stuff. So, your child can stuff the sleeping bag into the compression bag without any help. TETON Sports has been making affordable and durable outdoor gear for more than 10 years. More than anything, the company wants its products to outlast and outperform similar products in the market. With hundreds of four and five star reviews, TETON Sport’s products offers supreme customer satisfaction. High-Quality Build: The sturdy taffeta shell, SuperLoft Elite™ four-channel hollow fiber fill, and 10% brushed poly flannel lining makes this sleeping bag durable and comfortable. And the sleeping bag weighs just 2.5 pounds. Practical Construction: Every part of the bag adds to the bag’s functionality. The bag’s snag-resistant full length zipper reduces draft. It comes in left and right zippered versions that you can pair together for extra room. The bag has a curved hood that keeps your head off the ground, so there’s no need for a pillow. The bag also has an internal pocket for storing things such as a flashlight or mobile phone. Excellent Customer Service: The company is proud of its low defect rate and extra-mile customer service philosophy. Still, TETON Sports offers a lifetime limited warranty against workmanship and material defects. Also, the company’s website offers instructional videos that teach customers how to get the best out of their products. Since 1952, Kelty has been using the backdrop of the Rockies to innovate, create, and test outdoor gear. Kelty caters to all types of customers from first-time campers to veteran mountaineers. The Big Dipper 30 is Kelty’s answer to young boys and girls who want to have outdoor fun with their parents. Kelty Cloudloft™ Insulation: Kelty’s trademark insulation technology will keep kids warm and comfortable without weighing them down. The material is durable and compressible, making it easy for kids to quickly pack it into the stuff sack. Thoughtful and Useful Construction: An extendable foot-box lets you increase the length of the bag by 12 inches. This patented feature allows the sleeping bag to grow as your child does. The bag’s crawl-resistant zippers have sliders at top and bottom to facilitate easy venting. The double-layer offset quilt construction optimizes the bags warmth and durability. Contoured and elastic hood covers your child’s head and ears without messing with drawstrings. Warranty: Kelty offers all its customers a lifetime limited warranty against workmanship and material defect in the US and Canada. The Coleman brand is well-known for its sleeping bags. That’s why this list features two Coleman products. This bag shares many features in common with the Coleman Reversa Wrap Sleeping Solution. However, there is one key difference – this bag’s shape. The Coleman Kids Sleeping Bag is mummy-shaped not rectangular. Also, you cannot pair the mummy bag with another one to double the capacity. Comfortable and Warm: ThermoTech insulation and ThermoLock draft tube allows the sleeping bag to retain heat for longer periods. The Comfort Cuff design ensures that surfaces in contact with your child’s face are soft and smooth. Also, the mummy-shape prevents cold pocket formation, thereby providing more warmth. Easy-to-Use: The Roll Control system built into the product lets your child roll the sleeping bag perfectly every time. The ZipPlow technology integrated into the zippers don’t let fabric get in the way of the zipper. The bag also has an internal pocket for storing essential items. Glow-in-the-Dark Design: When it’s dark, the glow-in-the-dark feature of the sleeping bag makes it easy to identify where your child is. And the design looks fancy and cool. Your child will love it. 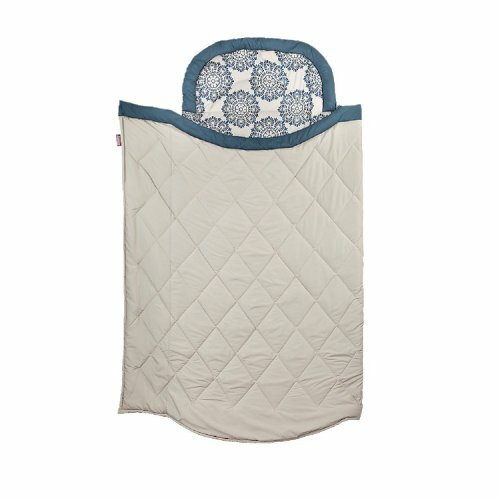 Coleman Reversa Wrap Reversible Sleep Solution combines utility and comfort into one amazing package. Comfortable: There’s nothing worse than a shoddy sleeping bag on a chilly night. However, this sleeping bag has got your covered. The ThermoTech insulation will keep your child warm and comfortable for outside temperatures as cold as 40° Fahrenheit. Additionally, the Comfort Cuff design will wrap your child’s face in snugly softness. Easy-to-Use: Zippers in low-quality sleeping bags can snag fabrics when used. Not this one – the ZipPlow zipper in this sleeping bag ensures snag-free use when your child opens and closes the bag. Another issue people have with sleeping bags is folding them. 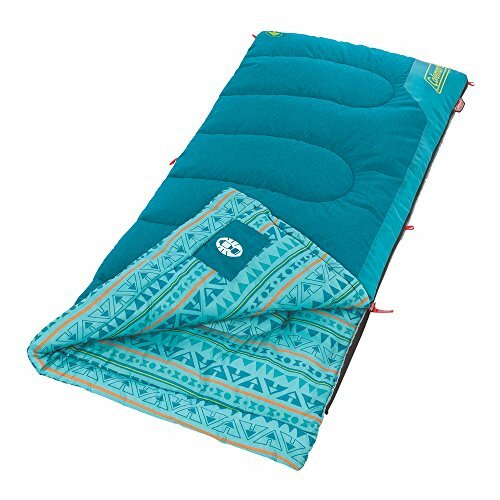 To solve this issue, designers at Coleman added the Roll Control system to enable your child to perfectly roll the sleeping bag in less than 30 seconds. Interior Pocket: The interior pocket is ideal for storing a cellphone or a flashlight, and lets your child keep essential items handy in an easy-to-access place. Machine Washable: The makers want your child to have many years of amazing memories with this bag. That’s why they made it super-easy to clean. After an outdoor trip, you can wash the sleeping bag in a washing machine. Option to Pair: If you have two of this sleeping bag, you can pair them together and double the room. No matter what your considerations are, there is a product for you in this list. So, what are you waiting for? Fun times with your kids are just around the corner.